Calling all poets amongst our readers. 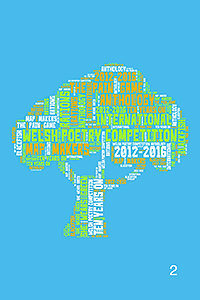 Don’t forgot to check out the Welsh Poetry Competition website. 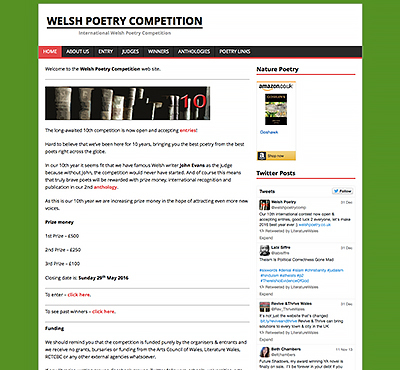 The contest was set up by poet & writer Dave Lewis in 2007. 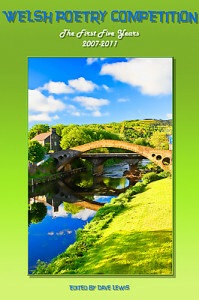 Officially launched on St David’s Day @ Clwb-Y-Bont, Pontypridd, 2007 the aim is to encourage and foster the wealth of creative writing talent that we know exists in Wales but currently languishes in the doldrums. We aim to inspire people to capture life in the present day and to give a voice to a new generation of poets and writers. We are not interested in purely academic types of literature but would much rather see pure raw passion burst onto the creative writing scene in Wales. A big thanks to all poets who’ve entered, won a prize and gave permission for their work to be published by us. A huge thanks also to our great judges – John Evans, Mike Jenkins, Sally Spedding, Eloise Williams and Kathy Miles without whom none of this would be possible.